TO MOST PEOPLE, A.B.C. will conjure up a picture of the local cinema, a child's alphabet book, or a rail guide. To those interested in Veteran and Vintage vehicles the choice might be a motor cycle with laminated spring frame, a light car, and the tiny Skootamota. In fact, the range of products was somewhat larger. From about the turn of the century, a small workshop (Redbridge Motor Works) in Redbridge, near Southampton, under the name of Walter. Lawson Adams - motor engineer, designed and installed engines for small motor boats and hydroplanes. A 10-12 h.p. engine installed in a boat named `Bluebottle" in 1904, won its class in some reliability trials in 1905 in the Southampton area whilst a 15hp V-twin was fitted to a hydroplane in 1909. By that time he had become more interested in aircraft engines and, to pursue such interests, he first formed W L Adams Ltd and then joined forces with Ronald Louis Charteris forming the Aeroplane Engine Company in 1909. Charteris was the grandson of the 7th Earl of Wemyss and March and a keen early aviator. 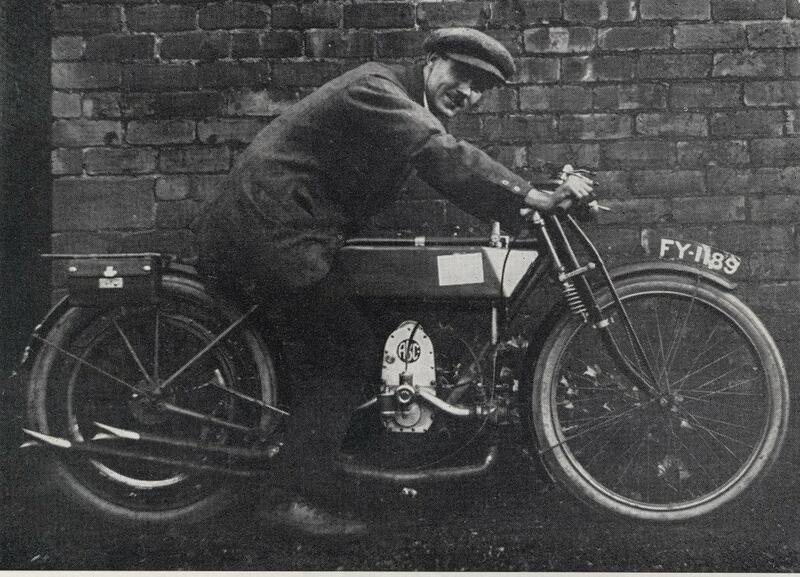 Together with Adams, they commenced work on a 90-degree V8 engine of 88hp having a bore and stroke of 4 in. x 43/4 in. There is however no evidence that it was ever completed. In the latter part of 1910, Granville Eastwood Bradshaw joined the company as chief designer. Designs then came from both Adams and Bradshaw for the Aeroplane Engine Company’s aviation units, whilst Bradshaw also pursued technical development of aircraft design. 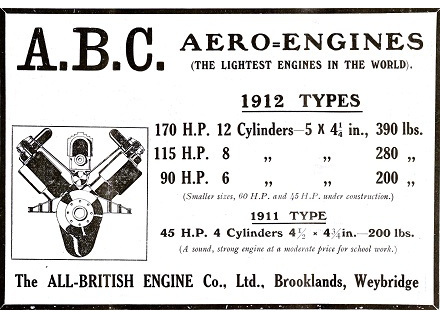 The company name was again changed since all partners were probably aware of cash rewards being offered to constructors of aircraft of all-British manufacture, so Bradshaw suggested the All British Engine Company. At this time Bradshaw was a recently qualified engineer, being just 21 years old. Granville Bradshaw apparently worked for the Star Engineering Co. for a short while during 1908-10, during which time he designed the Star monoplane and biplane, and also a 40 h.p. 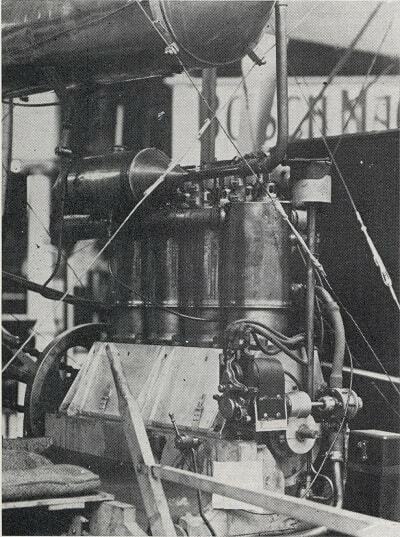 water-cooled four-cylinder engine which was installed and flown in the monoplane in 1910. This engine sounds very similar to the first A.B.C. engine, and Bradshaw could well have memorised the design and added one or two improvements for production by the latter company. His first design for A.B.C. was a 40 h.p. 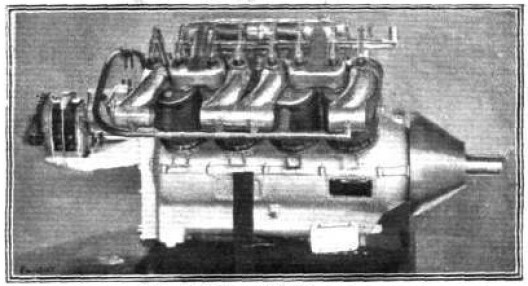 water-cooled four-cylinder engine, followed by a number of 90-degree V-arranged engines of four, six, eight, 12, and 16 cylinders. The majority of these were produced solely on the drawing board, although they did appear in catalogues, but at least the 40 h.p. and V-8s of 60 h.p. and 100 h.p. were made in small numbers, the latter by Armstrong-Whitworth & Company. Redbridge, it was decided, was too far from the aircraft builders and pilots; so to test their products an old chassis was acquired, stripped of its engine, gearbox, and transmission, and the body was discarded. On to this bare frame a timber body, of sorts, was built with a forward-facing bench-seat in front, and two seats facing backwards, one over each of the rear wheels. 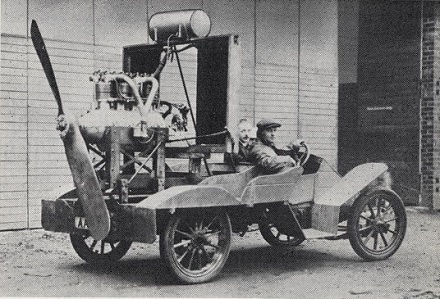 Their own aero engine was placed in a framework, together with petrol and water tanks, above the rear of the chassis, and in this form it was driven from Redbridge to Brooklands, generally under the cover of darkness. At the track it was said to do 65 m.p.h. with four passengers and a dog, and was used mainly during 1911-12, finishing its days overgrown by weeds behind the Hersham factory before being broken up. Probably the first aircraft to be fitted with an A.B.C. engine was T. O. M. Sopwith's (now Sir Thomas Sopwith) Burgess-Wright biplane which he bought whilst in America. With this and two other aircraft he started a flying school at Brooklands in 1911. During 1912 Harry Hawker joined him, having just arrived from Australia, and later that year he succeeded in gaining the British duration record, flying for 8 hours 23 minutes. 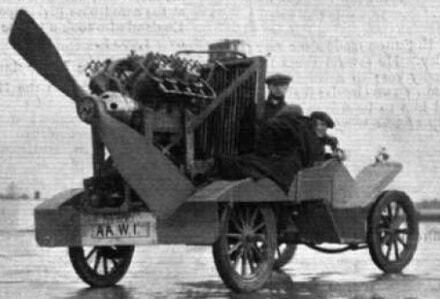 By the latter part of 1912 the All British Engine Company was generally being referred to as ABC (the Engine part of the title was subsequently printed in brackets) and by this time W L Adams had left as he must have found working with Bradshaw something of a prickly experience, taking with him the V-8 aero engine design subsequently developed by W H Dorman & Co Ltd of Stafford. 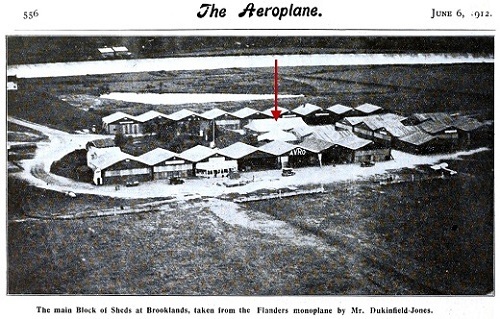 Redbridge was closed during 1911 and reverted to the name W. L. Adams - engineer whilst the ABC Company was moved to Brooklands.